When things come crashing down on Myra Benning’s idyllic life in Home Fires, she has to reach deep inside to find the strength to continue. Judith Kirscht tells the story of how the awkward girl who grew up on the Minnesota Prairie faces a life and family that has fallen apart. Having discovered her husband’s infidelity, she decides that she will stick it out until her oldest son has gone on to college and her daughter is adjusting better to school. Things take a turn when her husband carries things into deeper issues and she has some difficult decisions to make. While facing down the Benning family’s string of issues that have been passed down from father to sons, she refuses to turn a blind eye and faces the situation head on. Though she takes the hard road, it is the beginning of healing, but will it be enough to get her life back on track again? 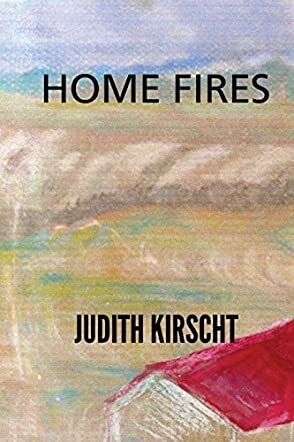 Judith Kirscht has brilliantly chronicled the deep emotions and struggles that go along with infidelity and the way it ruins families in Home Fires. As she develops the emotions of the characters and unravels the plot, the added touch of her “venting” comic strip provides a unique twist to the telling of the story. I found myself deeply wrapped up in the emotions and struggles and had a tendency to wander off and explore issues from my own experience. Honest, real and profound, Home Fires will challenge you on a very deep level and open your heart on another. Home Fires by Judith Kirscht is a family drama revolving around the life of Myra Benning. Myra marries into an affluent family. She finds herself caught in a chain of deceit and betrayal that runs in her husband's family. To add to it, she also has to face her husband's infidelity. A reunion during the Christmas season gives the opportunity to sort out all the differences and move ahead in life. The confrontations and ugliness of the people in the family come forth during that time. Will Myra and the family resolve the disputes and reconcile? Or will they continue with their life of deceit and betrayal? This compelling story takes readers into the lives and secrets of a family which has its dark side. The metaphors and imagery used in the writing style enhances the impact of the suspense and tension running in the family. The trials undergone by Myra, beginning with her husband's infidelity to the family drama, have been portrayed with a lot of strength. Though the plot is woven around betrayal, deceit, lust and hatred, we also see redemption, love, and loyalty working its way to unite the family. These contrasting emotions running simultaneously through the story have been handled well. There are a lot of sub-plots, twists and turns, but the author has handled them with mastery and blended them with the main story beautifully. The setting of the story and many of the incidents in the story can be related to very well. Myra was grateful for the life she had - she had a perfect home, loved her husband and had two great kids. That is until a message left on their home phone took away all her happiness and made her question the very basis of her happiness. Was her husband cheating on her? Trying to do what she thought was best for her kids, she stayed in the marriage she no longer believed in. Everything was shattered when she heard her daughter scream in the middle of the night, and then saw her husband coming out the screaming kid's room. Believing the worst, she kicked him out of the house and that was the last she saw of him, until more than ten years later. His reappearance brought the past back and the whole family then discovered a truth they never saw coming. Home Fires by Judith Kirscht is a well-written thriller full of intrigue, drama, and suspense. It tells the story of a desperate quest for the truth that opens a family puzzle so dark and twisted you are afraid to put the pieces together, fearing what the answer might be. Judith Kirscht created characters that feel so real and a plot so disturbing that it draws sympathy, anger, and rage and joy all at the same time. The story has some really dark parts, but these are flawlessly balanced off with the lighter, heart-warming moments and this makes it a perfect read. It is one of those books that you read so fast, eager to know how the story ended, but once you get to the end you are not sure whether to be sad or happy.